“Among the changes in the new version, Section 1 asks for ‘other last names used’ rather than ‘other names used,’ and streamlines certification for certain foreign nationals. Categories: Employment Law | Tags: I-9 forms, USCIS | Permalink. The U.S. 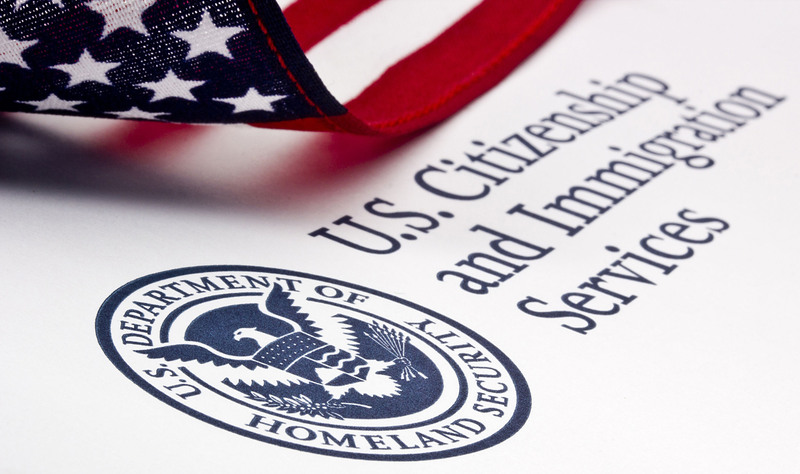 Citizenship and Immigration Services (USCIS) is reminding all employers that beginning today, May 7, 2013, they must start using the revised Form I-9, Employment Eligibility Verification (Revision 03/08/13)N for all new hires and reverifications. All employers are required to complete and retain a Form I-9 for each employee hired to work in the United States. Note: the revision date for the new Form I-9 is printed on the lower left corner of the form. Also, employers need not and should not complete a new Form I-9 for existing employees if a properly completed Form I-9 is on file. USCIS advises that a Spanish version of Form I-9 (revision 03/08/13)N is available on its website for use in Puerto Rico only. Spanish-speaking employers and employees in the 50 states, Washington, D.C., and other U.S. territories may use the Spanish version for reference, but must complete and retain the English version of the I-9 form. The revised forms are available at www.uscis.gov/I-9. And for more information, you may call 888-464-4218. Government representatives are available Monday through Friday, from 8 a.m. to 5 p.m. USCIS also maintains a website, I-9 Central, to support Form I-9 users. To order forms, you can contact USCIS at 1-800-870-3676. For free downloadable forms and information on USCIS programs, immigration laws, regulations, and procedures, you can visit www.uscis.gov. Categories: Employment Law | Tags: 2013, Employment, Employment Discrimination, Employment Verification, I-9 forms, Immigration, May 7, USCIS | Permalink. If you have questions about completing or storing I-9 forms you can now go to a USCIS website to find answers. On May 13, 2011 the USCIS launched ‘I-9 Central,’ at http://www.uscis.gov/i-9central. I-9 Central includes sections about employer and employee rights and responsibilities, step-by-step instructions for completing the form, and information on acceptable documents for establishing identity and employment authorization. It also includes a discussion of common mistakes to avoid when completing the form, guidance on how to correct errors and answers to employers’ questions about the I-9 process. For anything not covered on I-9 Central you may contact Glen Krebs with I-9 questions at 859-288-7409 or gkrebs@wyattfirm.com. Categories: Immigration | Tags: employment authorization, Employment Verification, I-9, Immigration, Krebs, USCIS | Permalink.